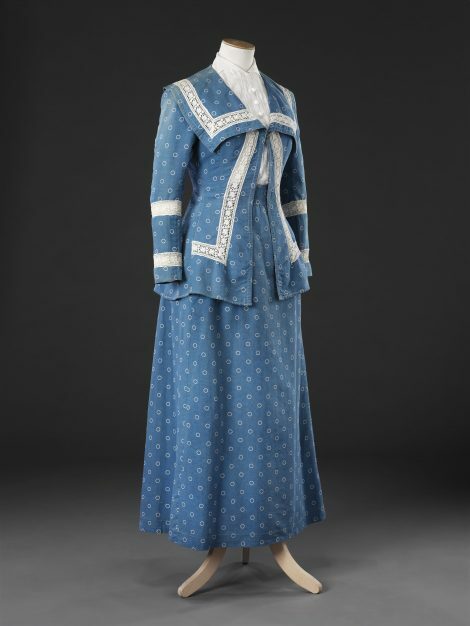 By the second decade of the 20th Century, the suit, comprising a jacket, worn over a blouse, and a skirt, had established itself as an everyday form of dress, not necessarily associated with practical activities, nor with warm heavy fabrics. 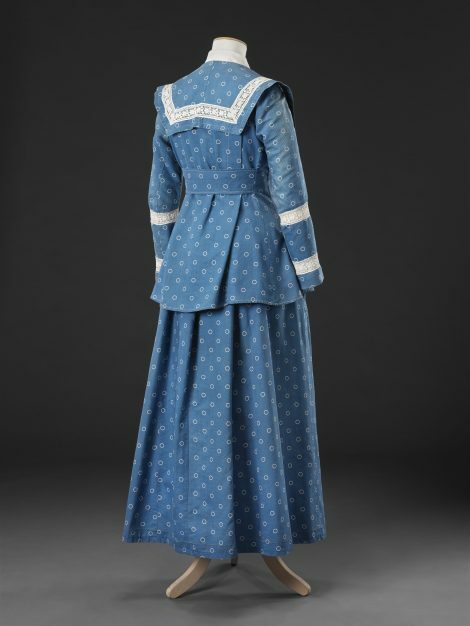 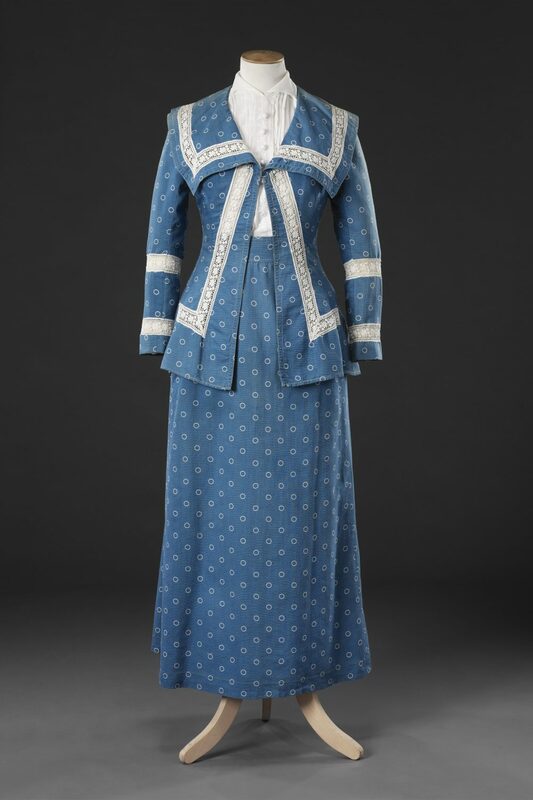 This example, unlined for summer wear, is made of blue ribbed cotton printed with small white circles that could equally have been used for a dress, and is trimmed with inserted bands of white cotton lace to give a fresh, crisp appearance. 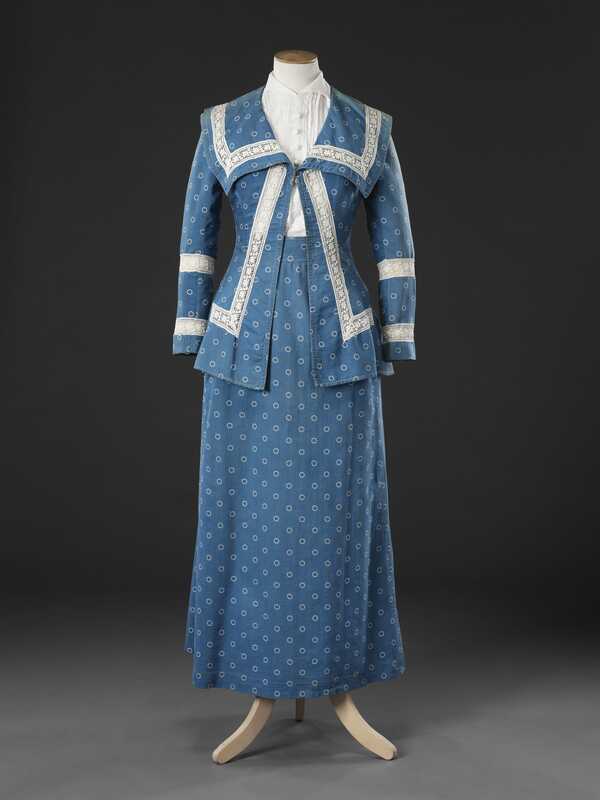 The jacket clearly needs a blouse to be worn beneath it, in this case one of the ubiquitous fine white lawn, organdie or muslin examples that were frequently intricately tucked and self embroidered , and with a turned-down collar replacing the less comfortable high , boned collars of the preceding years. These soft, loose garments fitted neatly under the body and sleeves of the jacket, and were an attractive foil to the skirt, should the jacket be removed.